Theatre Café Festival is a unique new writing festival aimed at premiering and distributing the best new European plays for young audiences in an accessible and exciting way. The Theatre Café Festival concept has an established track record for attracting some of the most exciting playwrights in contemporary European theatre from a wide range of countries and for generating stimulating and challenging discourse about content and format of plays for young audiences. The concept was launched in 2004 by London-based Company of Angels. Since then they have been organizing a number of Theatre Café Festivals, proving it to be a successful and fruitful format. 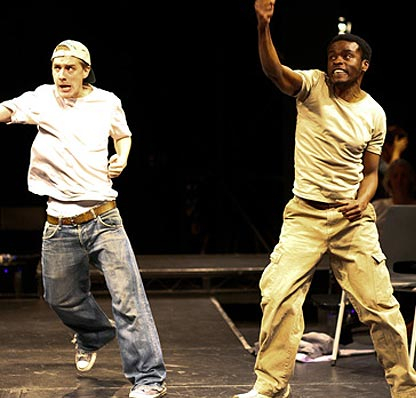 The first Theatre Café took place at the Arcola Theatre, followed by Theatre Café Europe in 2007, featuring events in France, Estonia, the Netherlands and the UK and supported by the EU Commission for Culture; Theatre Café Sweden, a special edition funded by the Embassy of Sweden; Theatre Café Festival 2008 and 2010 at the Unicorn Theatre and Southwark Playhouse and Theatre Café Germany, a specially-curated event supported by Goethe-Insititut London. This time around, Company of Angels have joined forces with GRIPS Theater (Berlin), Toneelmakerij (Amsterdam) and Oslo International Theatre / Imploding Fictions (Oslo) to make a number of Theatre Café Festivals and related events happen in all four countries. Theatre Café Festival Oslo. Read more here. The biggest Theatre Café Festival to date will take place over two years and in 5 different cities. 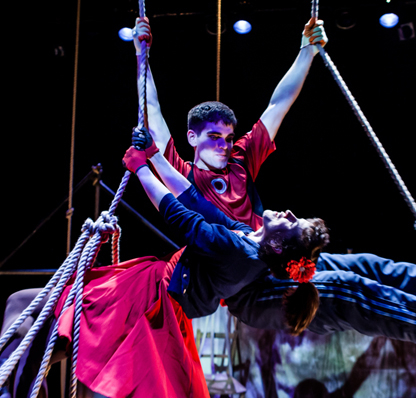 With Theatre Café York kicking things off in February 2014, we then travel to Oslo, Berlin, Frankfurt and Amsterdam, before returning to Berlin for an International Youth Encounter in 2015. Over the coming months, Company of Angels, Imploding Fictions (Norway), GRIPS Theater (Germany) and De Toneelmakerij (Netherlands) will be reading hundreds of new European plays to share with our audiences at 5 Theatre Café events. Alongside the rehearsed readings that are such a cornerstone of Theatre Cafés, we will be staging guest productions, holding discussions and professional symposia, commissioning 4 brand new plays from emerging writers, and creating an online hub so you can explore the work from anywhere in the world. To close the whole festival, young people from all the host countries will gather in Berlin to work together on a new performance of freshly-translated work. The festival series is generously supported by the EU, amongst other funders. The festival features a mixture of plays performed as rehearsed staged readings in a special Theatre Café setting as well as full productions of new European plays from guest companies. The programme is supplemented by a series of post-show discussions, workshops for young people and an International Symposium for theatre professionals from the UK and abroad. A ‘Theatre Café’ is a theatrical space designed to create an informal, intimate atmosphere where audiences can relax and feel involved. The closeness of the public to the actors makes post-show discussions natural. The Theatre Cafe concept is a unique format; it fills an essential gap in the provision of new European writing and theatre for young audiences. 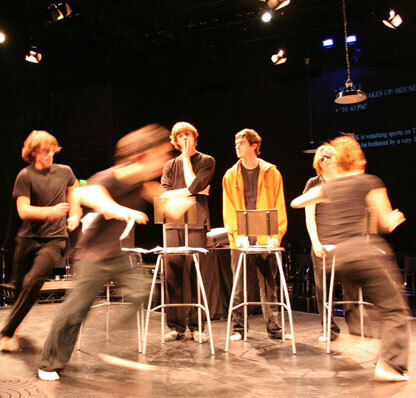 The Theatre Café Festival 2014 – 2015 project has a joint webpage where you can find information about all the festivals around Europe, browse plays and join debates about theatre for young audiences. Check out theatrecafe.eu!